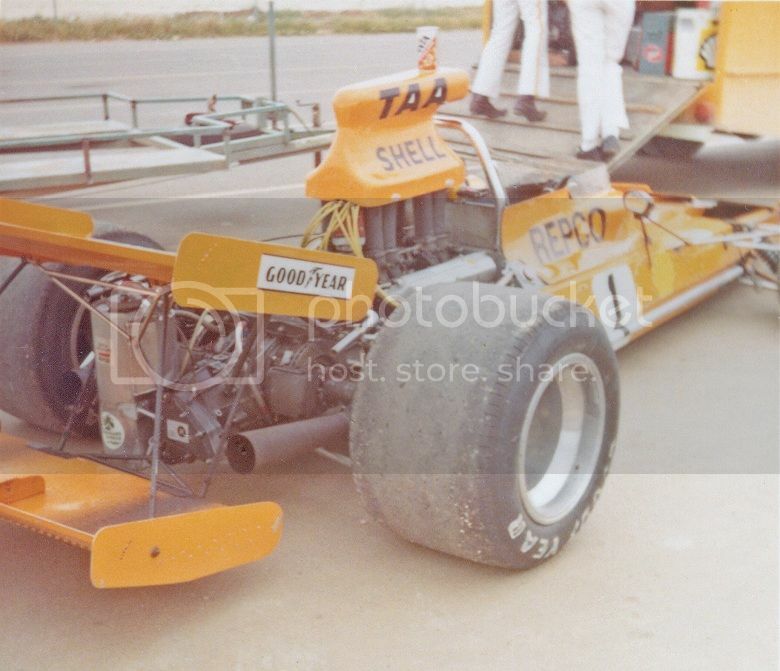 Formula 5000 - happy days! Tremendous dicing for the places, Vern Schuppan holding down the cockpit bodywork as he diced among them, everybody really charging at the end of the series. The Oran Park race was devastated by the raw new track surface, which John McCormack actually predicted before the race. Interesting how Kennedy's Wolf does not have the pace of the front runners at Oran and this is explained away by the use of Aurora Spec' GoodYears. Given that the same WR3 had been no slouch in Grands Prix, less than a year before, this highlights how much tyres made a difference even then. Kennedy was being dropped by Lola T332s designed 3 or 4 years earlier, to a budget, and for production where the Wolf was very much a bespoke big-bugget design(for the time) and a regular GP winner in 1977. The Lola T332, even in 1979, was still bloody fast in the right hands! More flowing corners, fewer straights pulling out of tight corners. Our book will be on sale again at the Tasman Revival meeting next weekend, and for the first time the leather-bound limited edition signed by dozens of drivers etc will be available there as well. I purchased the book last weekend at Sandown Historic race meeting. A fantastic read. Thanks for the great research and work involved. A very impressive book and found out from reading the credits that one of the rad chargers in Appendix J now called Historic Touring cars used to be racing in F5000 days. One Peter Roach. He was a real good steerer of a Mustang in our category. Always thought that he was a bit on the edge and now I know why! He retired from our category after a huge crash at Calder in roughly the same place as Craig Lowdnes had his big crash. Edited by Piquet959, 17 November 2012 - 20:44. 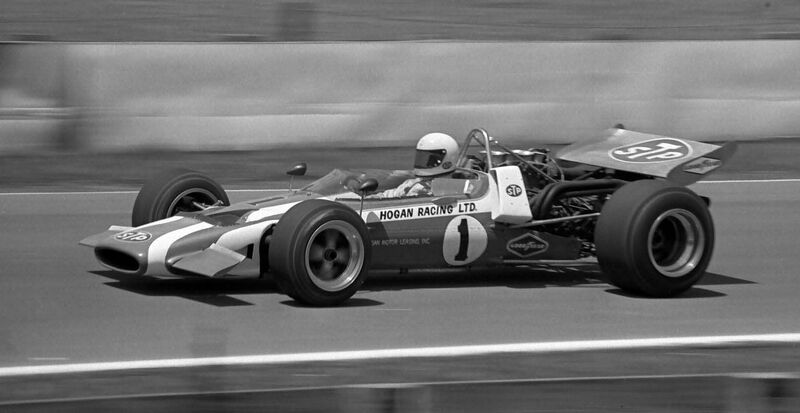 There were six McLaren M10Bs & one M10A. There were obviously various views as to how the nose should be modified to get the best airflow through the radiators. Or were they added to improve downforce or trim? The front wings differ as well. Correct my terminology if it's duff. Edited by lyntonh, 16 January 2013 - 01:49. The rear wings vary a lot too, dual plane, huge gurneys as well as the angles. I think that Niel Allen was trying to use the nose as an extra wing, given the fences on the side to what I feel was a necesary fence on the radiator outlet. Though all those fences must drag quite a lot and ideally would be better not there, though in our weather i doubt the outlet would let out enough hot air. Interesting how the top trailing arm went through the exhaust. You'd have to wonder how often he heard it rattle!! 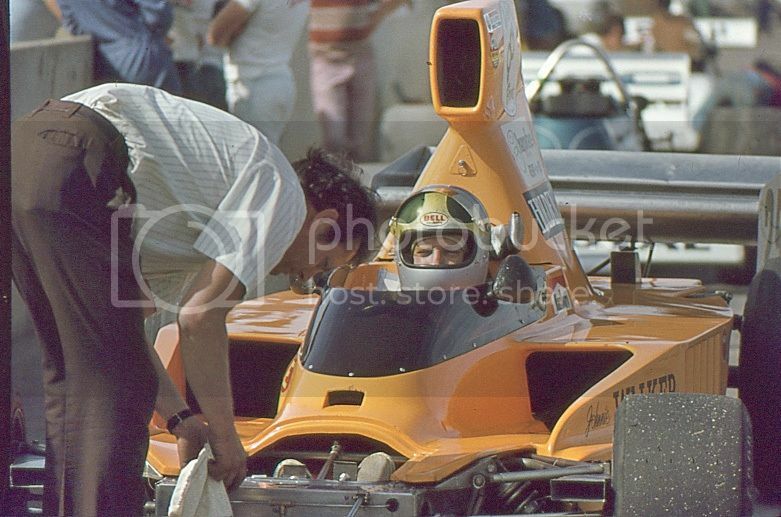 AGP 1973, perhaps, in a later car? He broke one there in that. Only parallel when looked at from the side. The pivot axis, top and bottom, were more or less parallel with the original installation. Pivoting the upper link/trailing arm on an angle like that would have been to introduce some pitch limitation. Probably not a bad idea with all that torque and the heavy weight of the powertrain. Edited by Pat Clarke, 16 January 2013 - 07:22. I think that's the accepted way to dial that out. Edited by seldo, 16 January 2013 - 14:20. My understanding of the"Fences" is that they disturb the airflow causing a low pressure area behind the fence, this low pressure area then creates additional & a stronger airflow thus drawing more hot air out of the radiator area at a faster rate thus creating better cooling. I've said it before, he was a wonderful bloke and put a lot into the sport during his short time as a competitor. 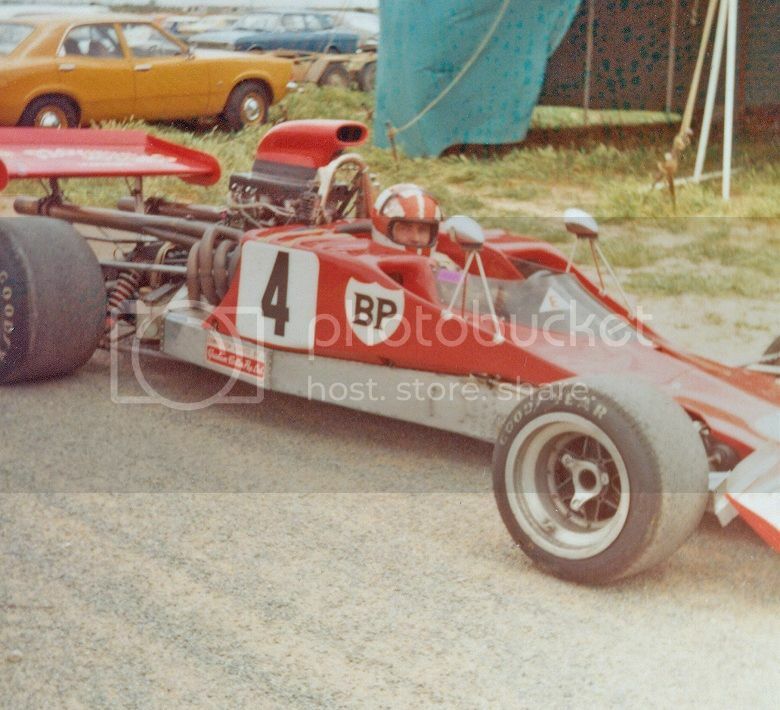 He was quick enough to own a Warwick Farm lap record at one time and he greatly helped Larry Perkins on his trip to F1. Thanks for those pics, Kym. Nice images Kym, Thank You. I wonder if there is a smoke stain under the wing at speed? Plenty on top! I feel they may have had the idea, just blew the wrong side. Aero was a little more basic in those days! I always felt that 'bottom' wing was of doubtful value - the air down there would be incredibly dirty. On the other hand, even a little extra downforce on that lever arm would help, providing the front wing/aero could balance it and remove the potential for high speed understeer. Was it rules that meant the idea did not spread, or did Matich abandon the idea as something tried, but results not worth it? Glad you like the pictures - thanks for the comments. Here's a couple more with an international flavour. Adelaide round of the 1976 Rothmans series. Taken during practice on February7. 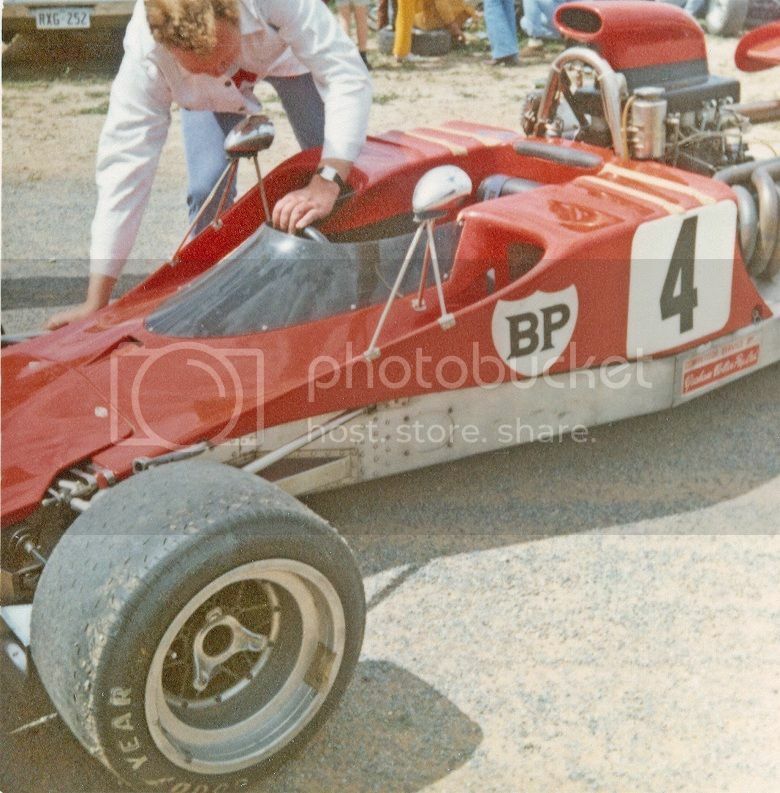 Receiving attention from Doug Trengove in pit lane (One of my favourite pics). I had my decal on that Cannon car in '76. Unless my age addled eyes mistake (and they often do), there's no mention this deep into the thread of...Tony AtoZ (Adamowicz). He did some business in this Formula with a great back-story on who and where his mount was prepared. Like I said...could be I'm wrong. Edited by TIPO61, 04 April 2013 - 20:27. The McLaren M10A/B was a fabulous looking machine, and so rightly given pride of place - in the form of Peter Gethin and his Church Farm Racing's example - on the front cover of Nick Geogano's 'Encyclopaedia of Motor Sport' published around the time of the type's heyday. 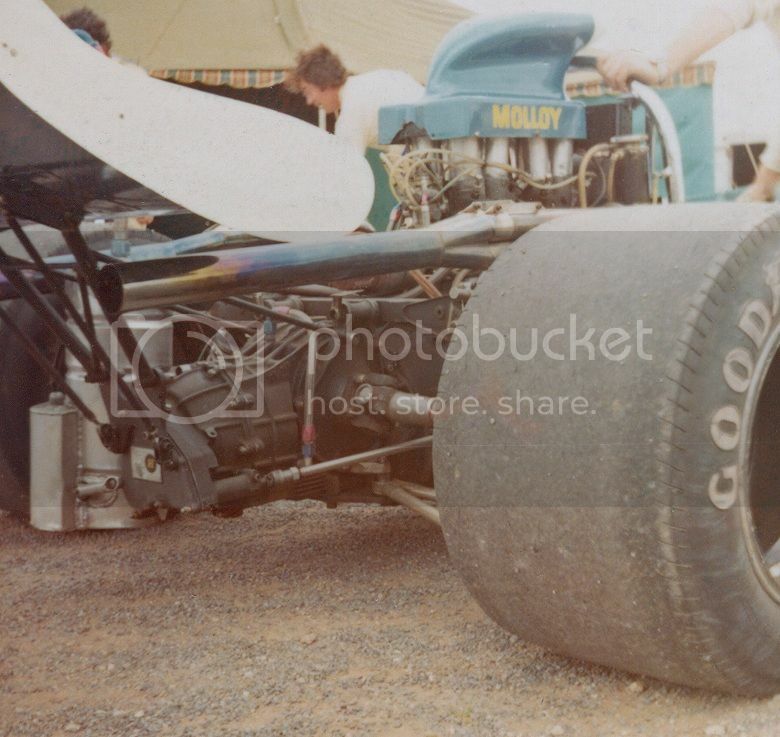 He went on to recover his health enough to conceive and build the ground effect MR9 at least!! Apologies if the Roaring Season footage has been posted here before - the extended racing footage is more than good enough to warrant a second look if I am repeating it!! 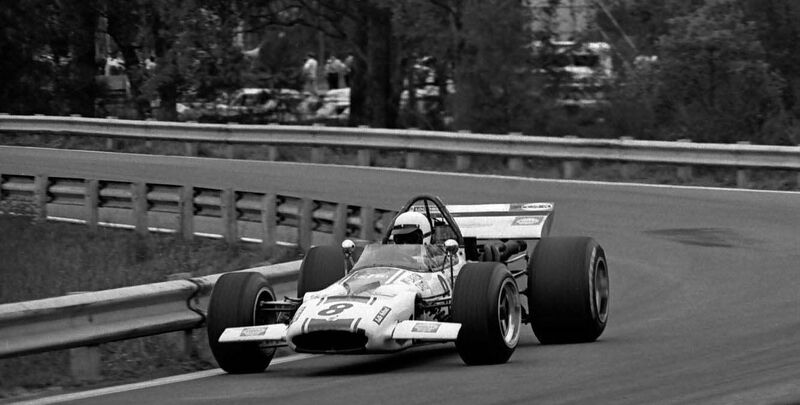 WATKINS GLEN, N.Y. (April 21, 2014) – “No one outside the racing world seemed to know F5000 existed,” Sam Posey reminisced in Road & Track magazine a few years ago. 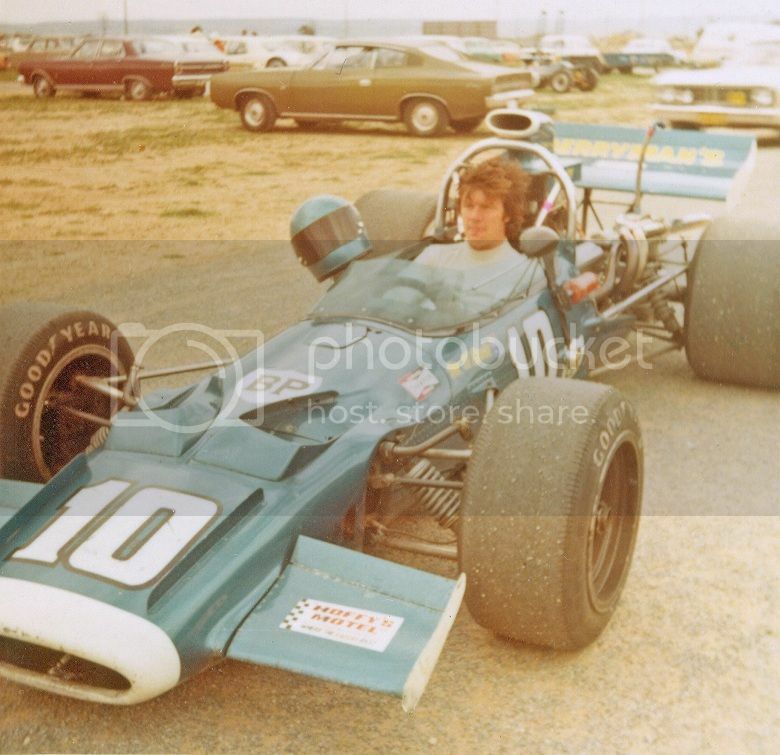 On May 10, Posey, who would drive to second place in the Formula 5000 series in 1971 and 1972, will be the honored guest as the International Motor Racing Research Center hosts a talk about the series that was lauded by some and overlooked by many. The free talk will be at 1 p.m. All are welcome. 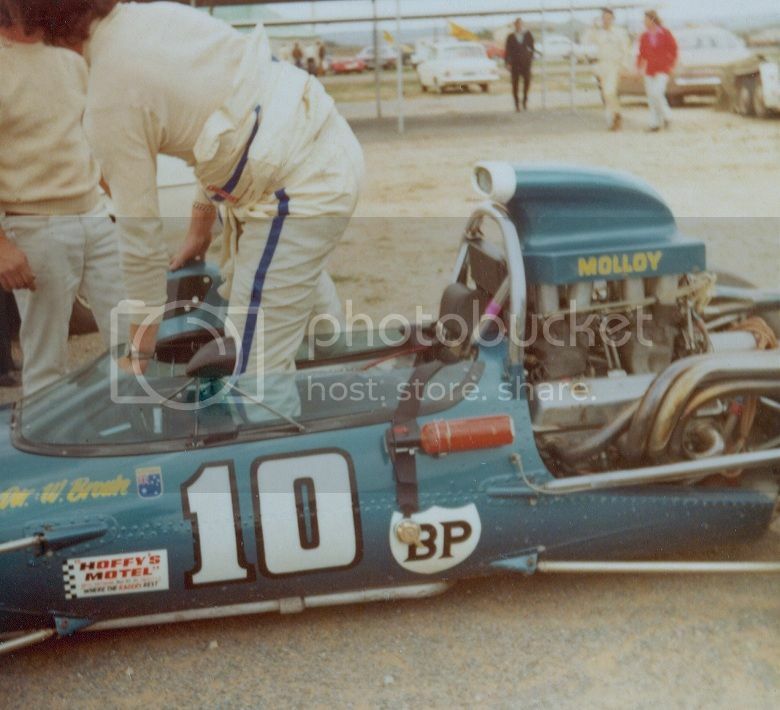 The 1968 Le Grand Mk7 that Posey drove in Formula 5000 in 1968 will be the centerpiece of the talk. The car has been on display at the Racing Research Center since December. Car co-owner Bob Mayer and Jacques Dresang, son of co-owner Rick Dresang, will speak about the car’s place in history and the story of the car’s restoration. The three men collect, restore and race vintage cars. 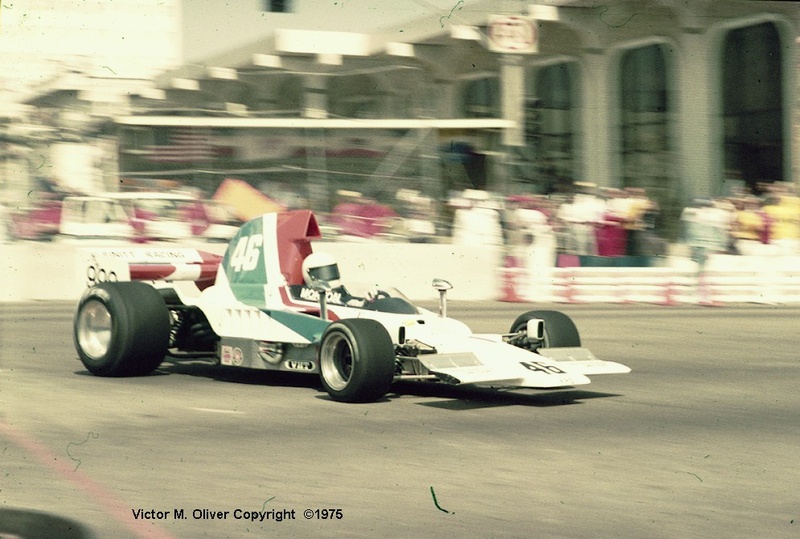 James Stengel, who is researching the Formula 5000 series, also will speak. 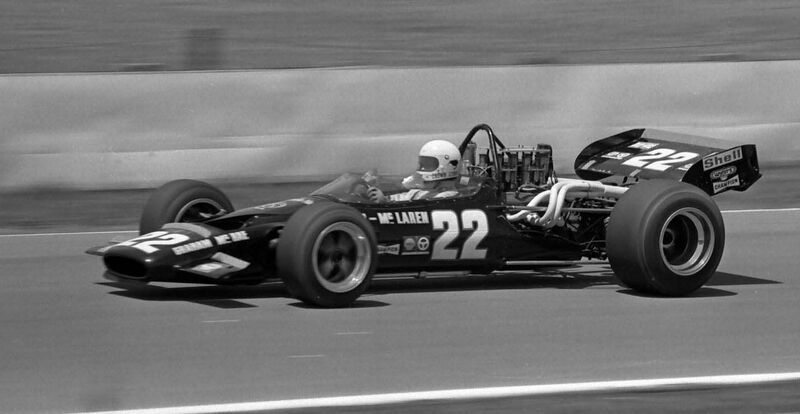 Stengel drives a Formula 5000 car in vintage races and is on the board of the Formula 5000 Drivers’ Association, which runs the current Formula 5000 Revival Series. The Center’s May events are part of the ongoing Center Conversations series. Upcoming speakers are vintage car event organizer Murray Smith on June 21; Cary Agajanian, son of legendary racing team owner and race organizer J.C. Agajanian in July; Steve Zautke on the Milwaukee Mile in October; and in November Michael Martin on the United States Road Racing Championship race series of the 1960s. Edited by B Squared, 29 April 2014 - 08:31. I will be at the June 21 event, however. Somebody posted a link to this on FB. I thought I pass it on to here. Brian, great post. Missed it, then saw it was posted 46 hours before we emptied our place. Oh boy. Just watching that clip. Nothing has changed! Mc Rae got the bad sportsmanship flag for driving too fast through the scene of Garries crash. Still happens! Though different times, wheeling away broken cars on track side and the race goes[under yellows] on as they get Garrie out of the car. 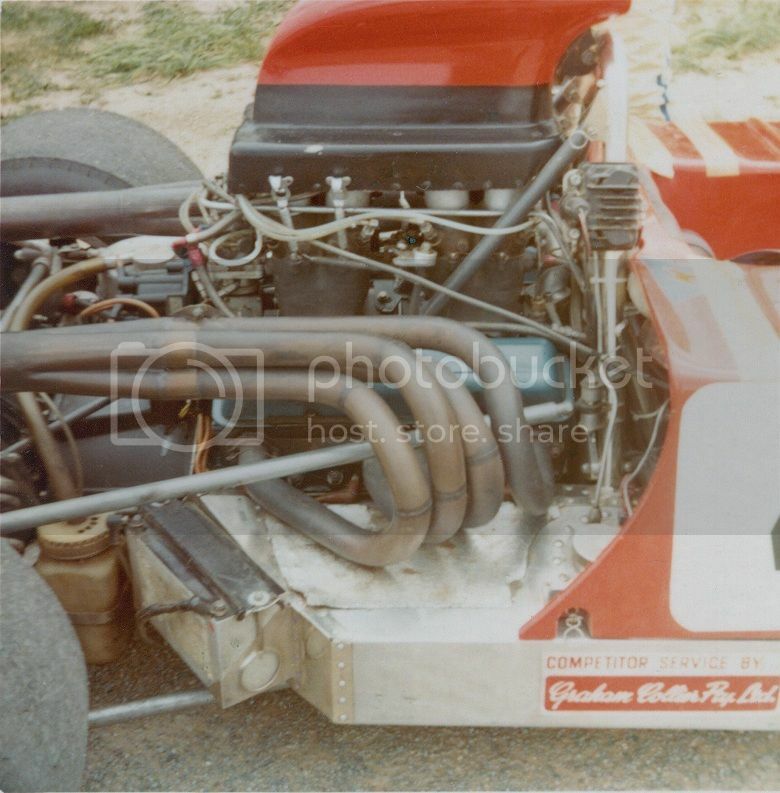 Sorry it's not a period image of the T400 #HU5, but I am wondering if any one can tell me, preferably from contemporary reports rather than the excellent OldRacingCars.com, why Ian Ashley swapped his 2nd place finishing Lola T400 at Zolder on the 25th of April '75 to his pole sitting Lola T330 at Zandvoort on the 19th of May 1975 ? 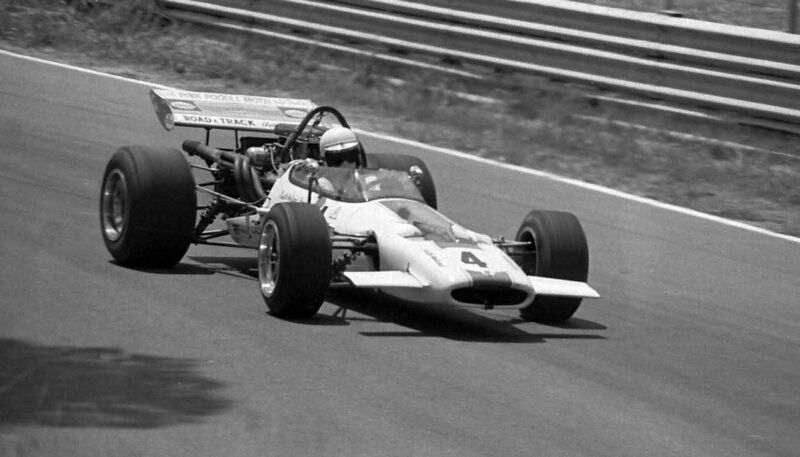 Maybe the sweepers at Zandvoort were better with the T330? The T400 looked the part and was reputedly stronger too. The T332 does seem to be more popular, read faster than the 400. Kenny Smith has gone back to one in recent times. after the Brands Hatch round, to try and rectify the thing, as both Lolas and McKechnies were by now mystified by it. alterations as the Durex chassis by Zolder, but maybe the Ian Ashley car had not, and he felt the T330 to be better ? Maybe they cross-threaded a rod end while they were preparing it? Point taken, the T400 can't have been too bad. As Kingswood says, the main problem with the T400 was its complex rising-rate suspension which was extremely difficult to set up properly. 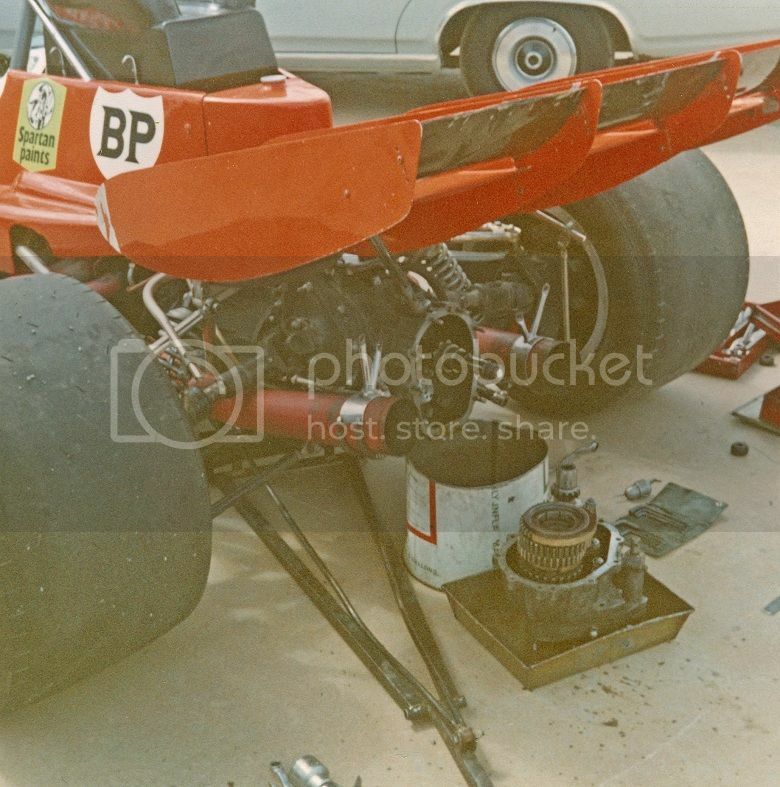 My understanding is that the VDS team resolved the problem by modifying their T400s to use T330-type suspension. 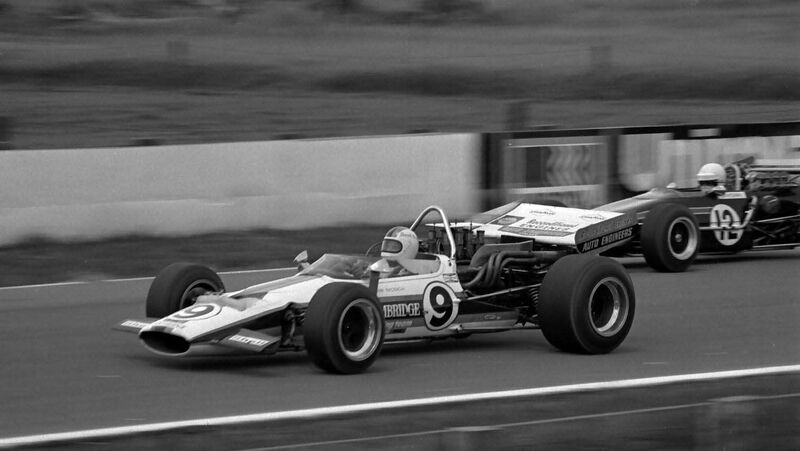 Other teams either struggled on and occasionally got their cars to perform well, or reverted to earlier models. It would appear that Ian Ashley never really got to grips with the Richard Oaten T400. 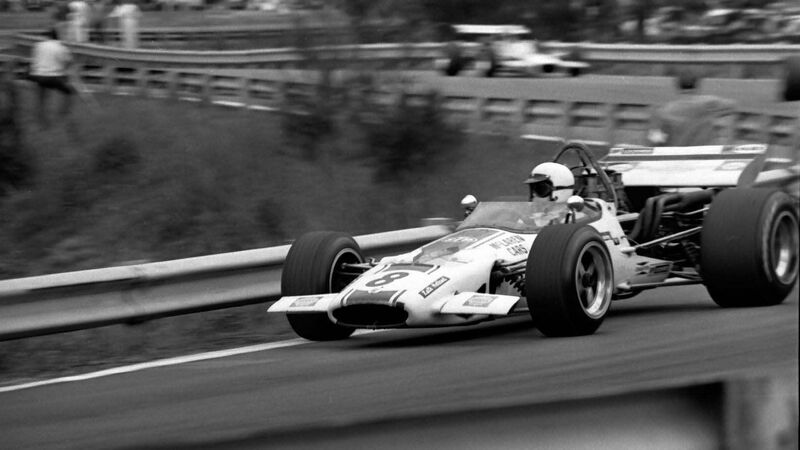 He only raced it twice, both times due to force majeure as the team's T330 was either damaged or broken, and then severely damaged the T400 in a testing accident. He obviously much preferred the T330. rate it might have helped, as it would have reduced the suspension travel. 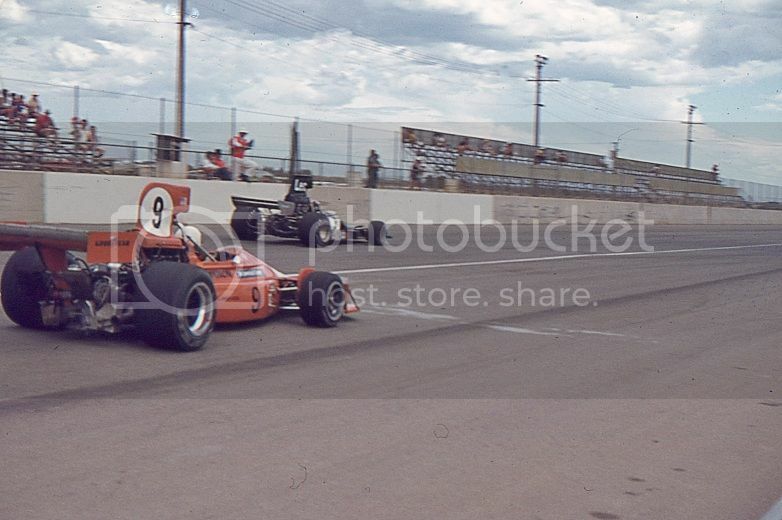 Five [T400s] were sold here, three to VDS and one each to Richard Oaten Racing and the Durex/McKechnie setup. The latter scored the model's first victory early in the year but it wasn't until mid-season that it really began to shape up well, this time in the hands of the VDS team who had adopted T332 conventional suspension. Like you I haven't yet got round to checking photographic evidence. Thanks for your detailed input Kingswood and Tim, according to oldracingcars Ian raced the T400 #HU5 three times the second visit, third round, to Brands where Ian came from the back of the grid to 7th, Silverstone where Ian finished 5th from 2nd on the grid and Zolder as mentioned where Ian finished 2nd after qualifying 5th, what I'd like to establish from the contemporary reports is whether Ian crashed #HU5 in testing before Zandvoort when he would not necessarily have had the choice of which car to use, or after in which case he certainly did have the choice, it's a minor point but if he did have the choice between the T400 and T330 and used the the T330 to qualify on pole it was certainly an inspired choice in light of the fact that he won the next round at Thruxton again from pole. 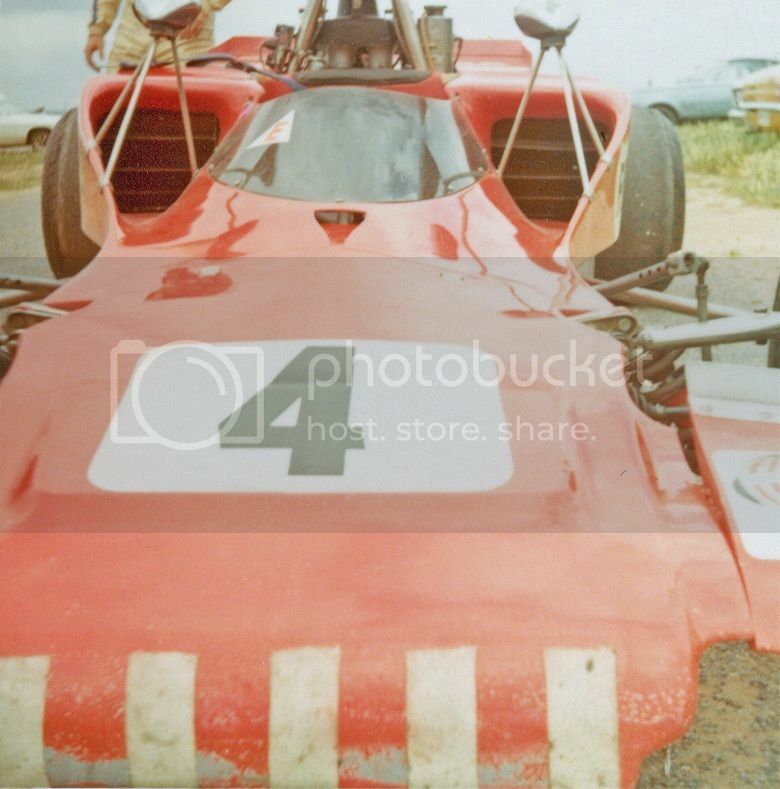 So going back to my original question can anyone tell me, preferably "from contemporary reports" rather than the excellent OldRacingCars.com, why Ian Ashley swapped his 2nd place finishing Lola T400 at Zolder on the 25th of April '75 to his pole sitting Lola T330 at Zandvoort on the 19th of May 1975 ? There's a photo of the race start in the report which clearly shows that Ashley is driving a T330-type Lola. After [Ashley] had set the fastest unofficial time during the test sessions preceding practice, driving the T330, the older car's gearbox broke a lay-shaft roller bearing. This compelled the team to concentrate on the T400, which surprised them by being only a fraction slower, despite very little development. 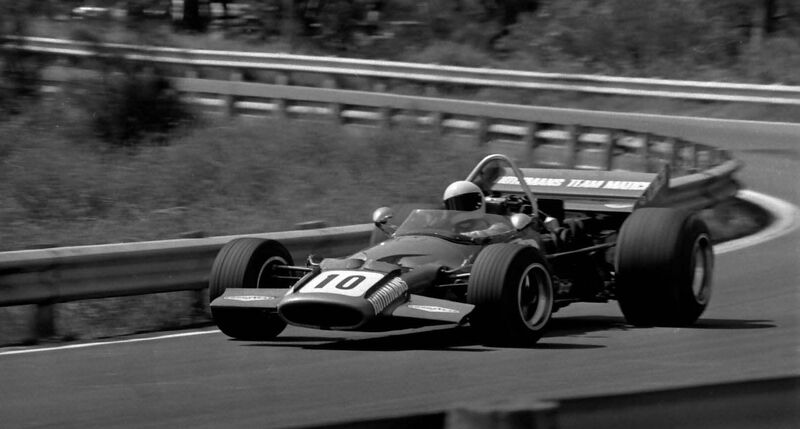 I don't have the report on the Zandvoort race, but it really does seem that he only raced the T400 when there was no other choice. Edited by Tim Murray, 29 September 2015 - 09:15. I think ORC has made a (very rare) error here. Autosport's 12 April race report makes no mention of a new T332 tub but that's perfectly possible. The car raced was the old T330 HU17, even if it had a whole lot of new metal in it by then. As this car was destroyed two years later and the mangled tub thrown away, we may never know. But yes, ORC was in err ..., err... . It's no good, I just can't say it. Edited by Allen Brown, 29 September 2015 - 11:07. I may be wrong, but didn't Ashley say that the T400 wasn't up to it? He was hardly alone: think Brian Redman. Also, did he not crash it twice (not once) in testing? I may be mistaken, so apologies if that is the case. 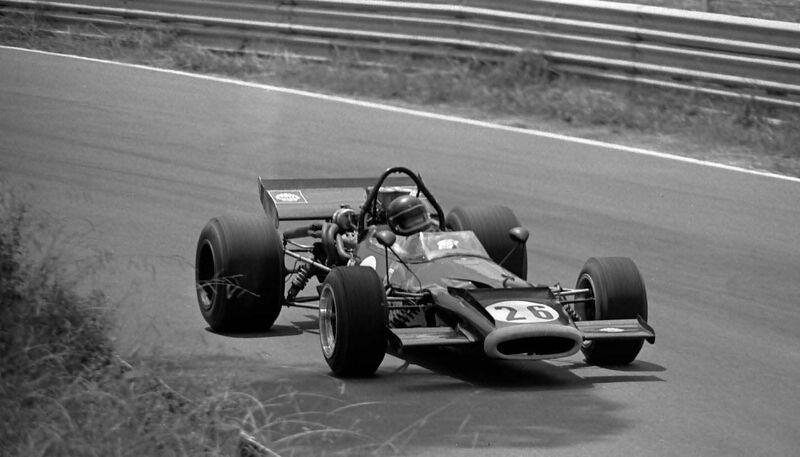 The T330 he had was the Henley Fork Lift / ShellSPORT car that Frank Gardner had been called in to help set up in 1973. No wonder it flew, but Ashley was often very, very quick on his day. 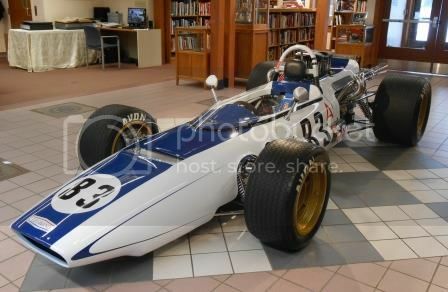 Anyway, the Oaten "T332" was almost made to look like the T400 initially, sporting the huge airbox and rear-wing and then the restricted airbox (the innards of the "huge" airbox, if you are still with me), with various other modern parts - don't forget Lola carried on T332 parts production for several more years. Looking at pictures now it ended up with a unique looking airbox - so I can't imagine HU17 had many original parts left in the end. 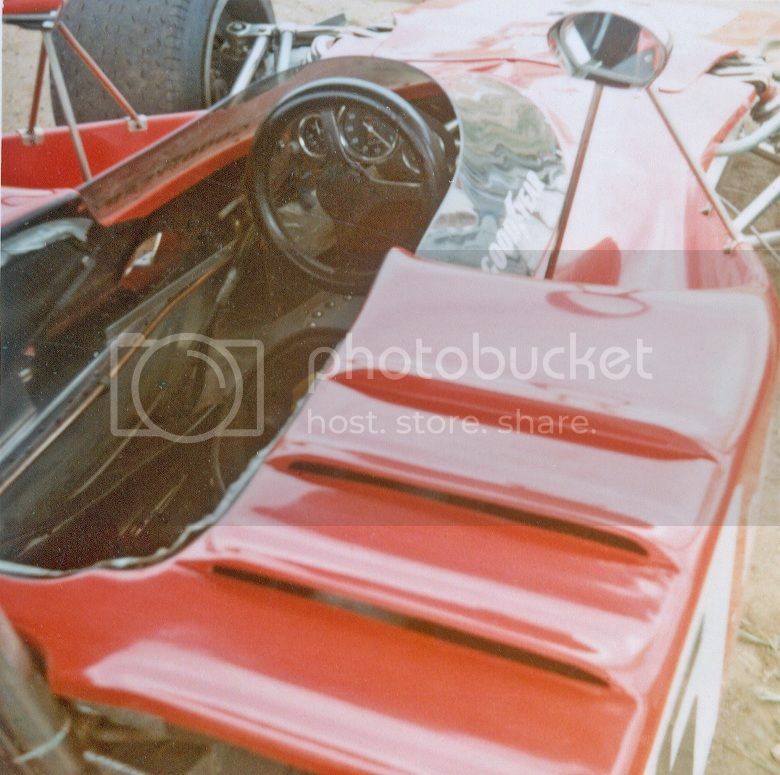 Somewhere (no idea where) I have three colour slides of the Oulton Park accident with the T330. If I ever find them I will post them. 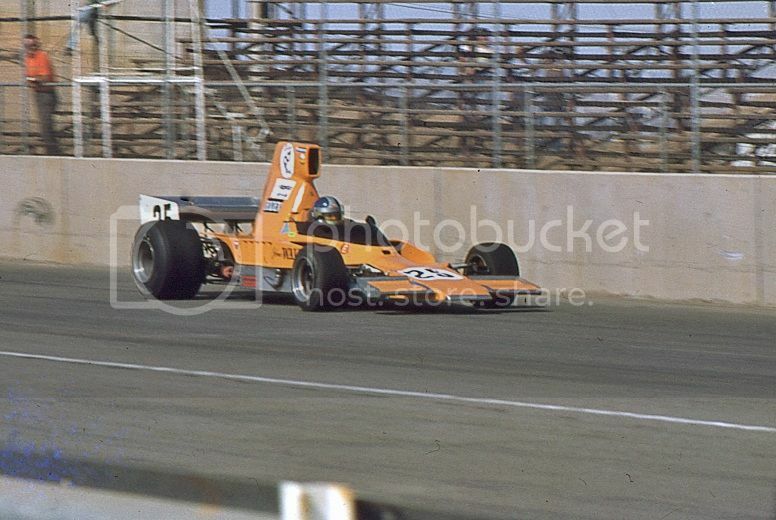 In 1975 John Moreton drove a T400 and later T332 for a team called variously; Perry Krinnit, Krinett Racing Ent., and Perry Krinitt. To spare future pedantry I wonder if anyone could confirm the correct spelling of Perry's surname ?